A Pentax K-x DSLR fitted with a light pollution filter was placed at the prime focus of a 10", f/4.8 Newtonian. The camera was set to ISO 12800 and 30s exposures. 33 x 30s dark frames were captured. 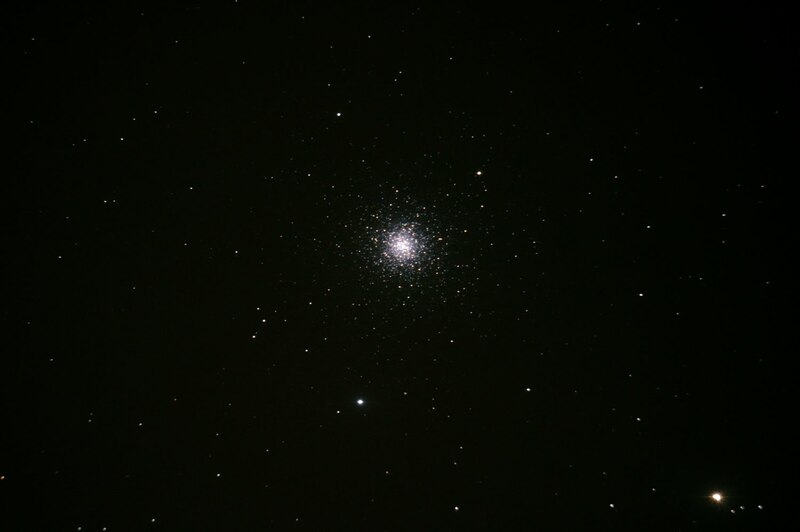 41 x 30s exposures were captured of M3 and the best 37 were stacked with dark frame correction, using Deep Sky Stacker. 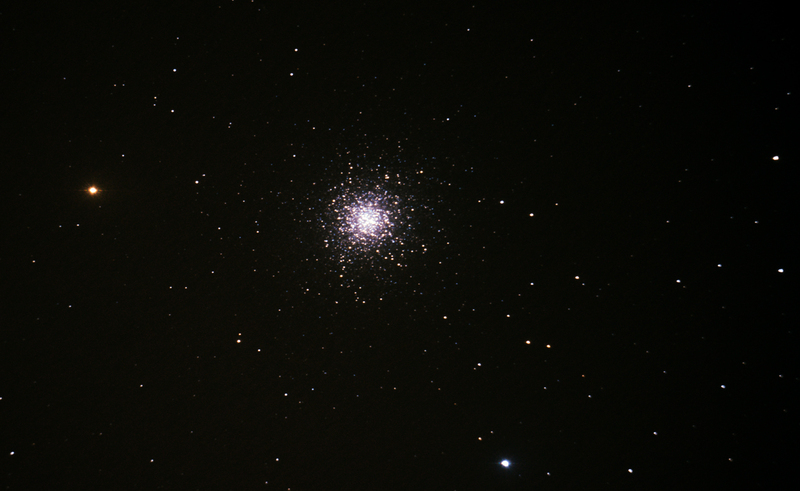 This gave a total exposure of 18.5 minutes for M3. 97 x 30s exposures of M13 were captured and stacked in Deep Sky Stacker with dark frame correction. This gave a total exposure of 48.5 minutes for M13. A Mintron camera was mounted at the prime focus of a 130mm f/5 Newtonian on an AZ GOTO mount. The Black eye galaxy was selected and the Mintron was used as an electronic eyepiece with a 5" monitor as the image display. The combination of camera, eye and pencil has recorded the structure in the galaxy.